The tiffins at Olive and Bean are legendary in Newcastle but over Easter you'll discover a special kind of tiffin that's only available when the Easter Bunny is in Toon. 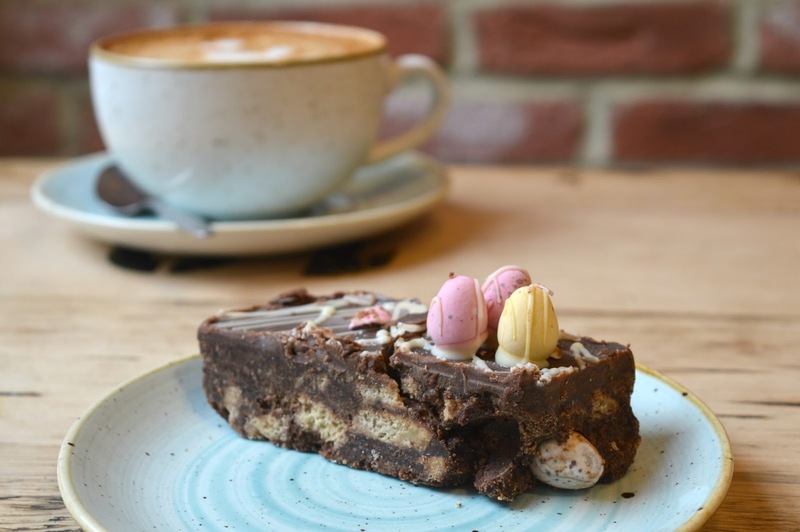 The mini egg tiffin is filled with crushed brightly coloured eggs, goes perfectly with a nice cup of coffee and, if you're feeling very generous, is a great treat to share with your favourite person. Last year we became a little obsessed with Di Meos ice-cream (you'll never get me to confess to you exactly how many cones we had!) and we spent many evenings driving to Whitley Bay for an ice-cream and stroll along the seafront. Therefore I'm definitely qualified to tell you that the Easter special Creme Egg ice-cream at Di Meos is, without a doubt, the best ice-cream you will ever have! Impossible to eat without a bright yellow chin, it's so creamy, so sticky and probably the best thing about Easter in the North East. Please make sure you go and get yourself one before they go! 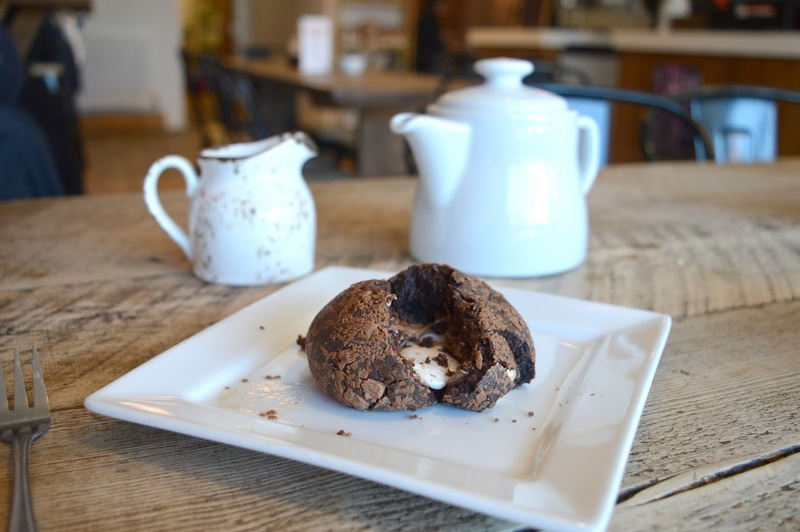 If Cadbury's Creme Eggs are your weakness then you'll find loads of treats at The Brownie Bar. 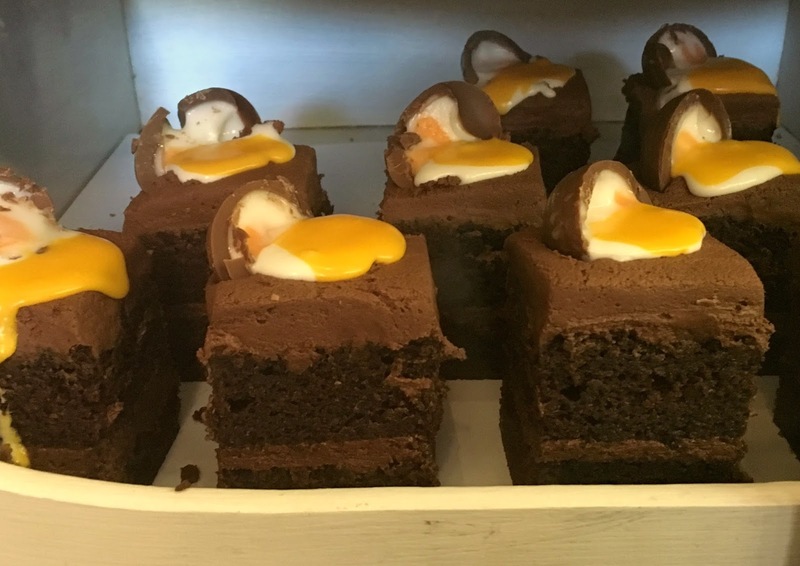 Their Eldon Garden counter and Chillingham Road cafe are bursting with Creme Egg treats including their famous brownies. My favourite is this gorgeous Creme Egg Bomb, ask for it served warm and just watch as the molten creme egg oozes all over your plate. Delicious! I love Hot Cross Buns, they are the perfect breakfast food over Easter! Slightly toasted and slathered in butter - perfect! 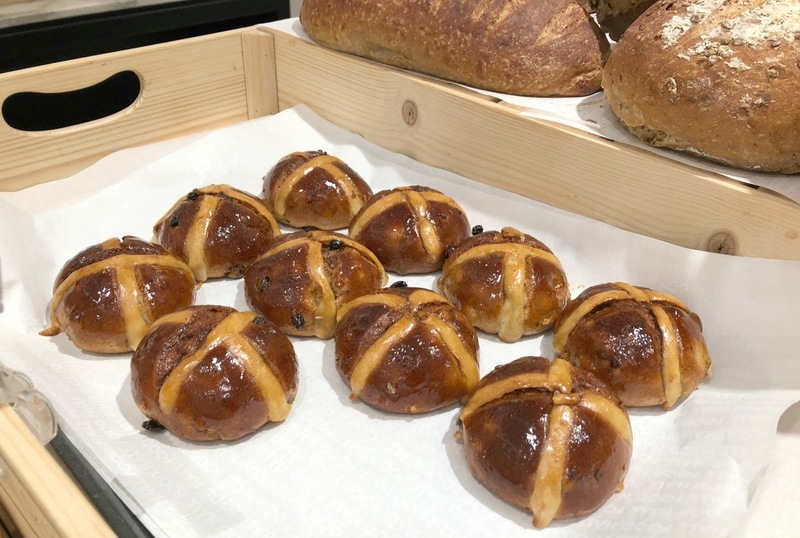 We always stay clear of the soggy offerings in the supermarket and love to pick up fresh locally produced buns, you'll find these delicious guys at Mason + Rye in the Fenwick's Food Hall - with their perfect sticky top they are the ultimate Easter treat. If you want a guaranteed counter full of Easter goodies then you need to get yourself down to Pet Lamb Patisserie in the Grainger Market. The smell of creme egg brownies makes you tummy growl as soon as you get through the door and the huge variety of cupcakes on offer will make your eyes pop. 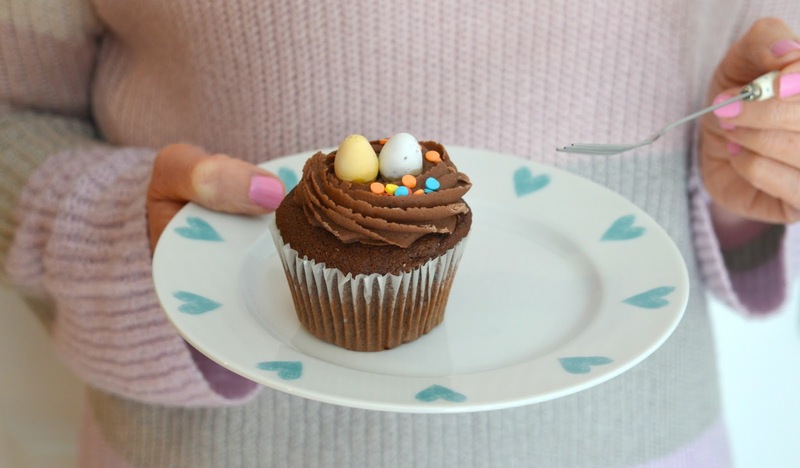 To save yourself the drama of trying to decide I highly recommend the mini egg cupcakes, take them away and enjoy them on the sofa with a cup of tea - bliss! When I see the Creme Egg Smash out at Cake Stories I know that Easter is well and truly here. These little beauties always appear at this time of year and are the ultimate chocolatey indulgence for Easter. Combining my two favourite things - creme eggs and chocolate cake - they are, no exaggeration, one of the best things about living in Newcastle! 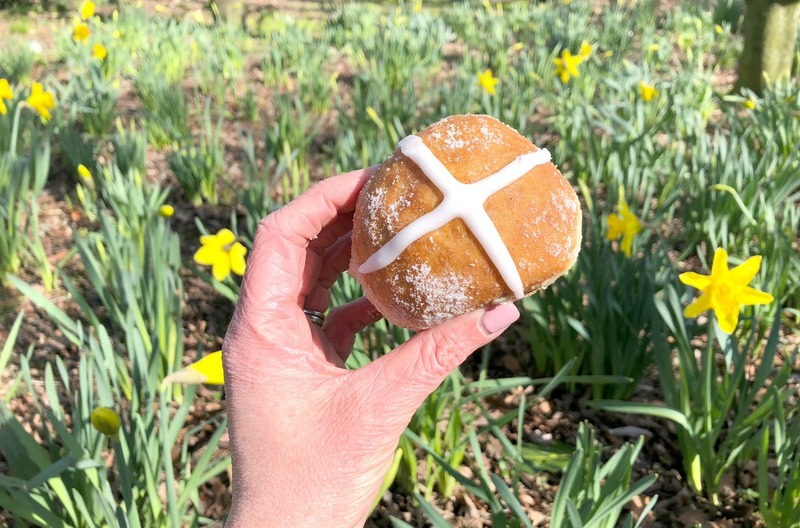 The Proven Doughnut obsession continues and they've really created something special this Easter with the arrival of their Hot Cross Bun Doughnut. Spiced dough filled with vanilla custard and orange soaked fruit, I think this may actually be the best doughnut I have ever had! The only problem is it's impossible to just leave with one doughnut and you will end up walking away with a box of 6 .. you have been warned! Find Proven Doughnuts: popping up all over Newcastle! 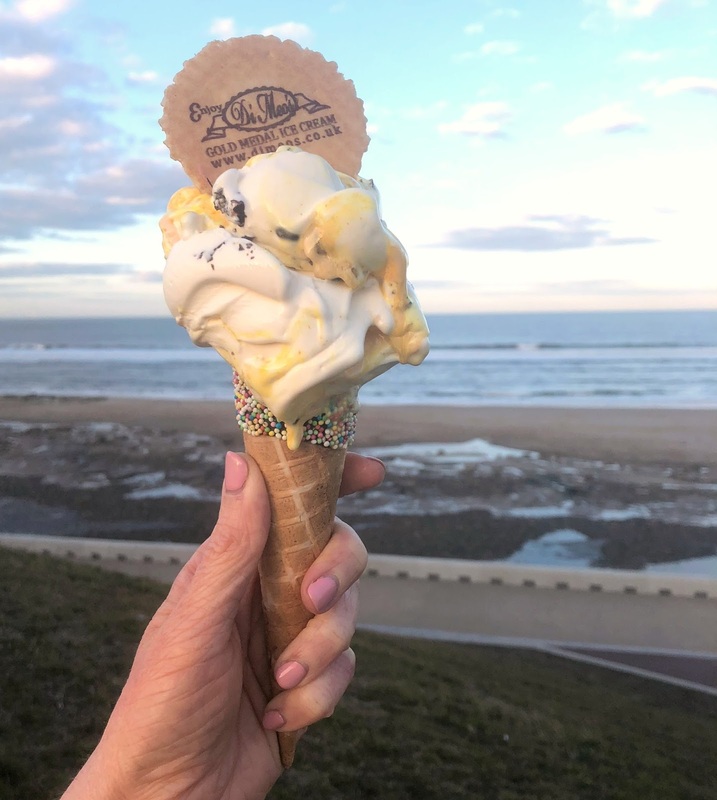 Make sure you let me know your favourite places to go for Easter Treats in the North East - I'm sure I can fit a few more in! Oh I love the idea of all of these! Steve is attempting to make his own chocolate orange hot crossed buns on Sunday so look out for those! Oh wow! He is so good! He always makes such great things! I saw the Crème Egg ice cream and thought 'that's gonna be the best thing on here by a mile', but you surprised me - EVERYTHING on here looks incredible! I do actually think that the creme egg ice cream was my favourite of the lot, it really was amazing!